I hope that we have all heard about virtual running events by now… If not, virtual running events are a great way to be involved in a running event on your own time, in your own setting, with whomever you want 🙂 I run virtual races for the “tune-up” for race day…and to contribute to a good cause! What is the June virtual run hosted by Level Up Virtual Runs? 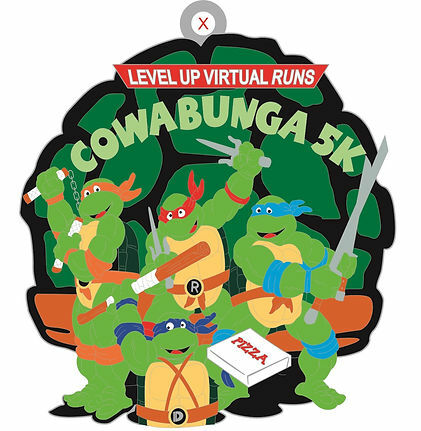 It is the COWABUNGA 5K featuring Donatello, Michelangelo, Raphael, & Leonardo. This virtual run will be only a 5k and you can enjoy a nice slice of your favorite pizza after as a reward. Time: Anytime during those dates! Location: Anywhere! You choose the location and if you want to walk or run! Distances: This race is only offered as a 5K distances, in the US and beyond! Course: You choose the location! Save 10% off your registration by using the code “SAVE10” at checkout! What a great deal! 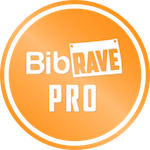 10% off registration, a great large finisher’s metal, and a $25 gift certificate to boot! Looking forward to races later in the summer? 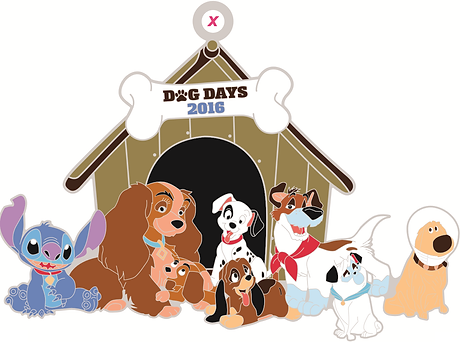 Level Up Virtual Runs will have a 2016 Dog Days virtual run starting August 1st – you can pre-register for this even as well with the same link as above! Level Up Virtual Runs is teaming up with SLS3 to raise money to donate to http://www.secondchancelove.org/ with the 2016 Dog Days Virtual Run. I will be completing my Spring pacing this weekend at the Hospital Hill Half Marathon…oh boy!! This race is going to be a tough one…for runners and pacers. I could use all the good vibes you have to get through this run as an effective pacer! Those virtual runs over the summer will also pose as “races” in my plan, but most likely will be on interval or tempo days, ha! Even though it is 2+ months away, I have started thinking about my plans for my Colorado trip. What was originally planned as a “girls weekend” had turned into a solo weekend – which I am alright with. My leading, running lady is going to make the trip a family event and plans on staying out a few more days before and after the pacing event – Georgetown to Idaho Springs. With this change of events, my plan is to stay with family (or at least in their house, since they will be OUT OF THE COUNTRY,…lucky!) close to the race. They live around 30-40 minutes from the finishing city, and since this is a point-to-point race, that is perfect! Know anyone running this race? Hit me up! My only concern is that I will not be “used to” the elevation change, since I am heading out Friday for the event Saturday morning… I heard that it will be fine and that I just need to go with it and trick my body into it. With the 1000+ descent from start to finish, I hope I can pull it off! I am loving my morning runs lately! While they are not always the longest or the miles I intended on running from the start, the weather has been cool and breezy! I need to soak it all in…because the morning heat and humidity is coming…and get worse throughout the day! Well, I am doing a couple running streaks this month! First, I am #streakingwiththeCOOLKIDS with Pinkcupcakegirl! If you ran June 1st, you can totally still start with us! Other than having a bug-bitten, cranky 2-year old at home, that is all of my random thoughts for now 🙂 Check out the linkup with Amanda to see what everyone is thinking (out loud) this Thrusday!